Moves to have Nadroga/Navosa declared a separate Fijian state have received little support from the vanua and Police are already investigating whether an act of sedition was committed. The group, led by maverick former politician Ratu Osea Gavidi, held a “swearing-in” of 18 “Cabinet Ministers” on Thursday in Cuvu in Sigatoka. When approached yesterday, Prime Minister Voreqe Bainimarama dismissed the group as having ‘baseless’claims. No one should support the group, because they preached something contrary to the Government’s aims to unite all Fijians, he said. A family of the Nakalevu family of Nadroga, Ratu Aisea Wakanimolikula said the chiefly family of the province distanced itself from the group. He said the chiefly clan of Nadroga and the people of Nadroga and Navosa had given their support to the Prime Minister, Mr Voreqe Bainimarama and his Government. The group he said had no support and they were just trying to divide the people of Nadroga and Navosa. “We are firm and will never ever support such a senseless move,” Ratu Aisea said. The group has already made one major public blunder by releasing information that Ratu Osea said was not for public consumption. He said party spokesperson Jorama Natoko Ratulevu did not have the authority to release any information on the group. Mr Ratulevu sent out an email yesterday that revealed some of the group’s plans. “I would like to briefly give an update on the Nadroga/Navosa sovereign christian state. A big vinaka vakalevu to Oni Kirwin and Ratu Osea Turaga Gavidi for their advice and words of encouragement. As you read this message Oni Kirwin has just left the Fiji Island at 9am today , 5th November her way to Australia to compile all the papers then on Friday she will visit the Buchigham (sic) Palace to officially meet Her Majesty THE QUEEN . “After meeting The Queen she will then proceed to register our case at the International Court of Justice against Great Britain for not honouring the trust given by the 13 chiefs in 1874 when they signed the Deed of Cession in Levuka. When contacted for the identity of the eighteen, Ratu Osea said that “it was a private matter”. 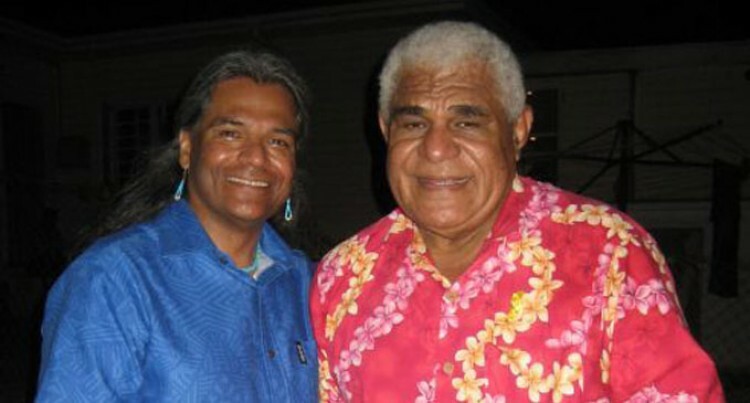 Oni Kirwin is believed to be an Australian resident involved in Pacific indigenous rights. It could not be ascertained whether she was on her way to Buckingham Palace to meet Queen Elizabeth, a highly unlikely scenario given the protocol and security clearances needed. Ratu Osea is also no stranger to dissident politics having led the Western United Front (WUF) political party in the 1980s that demanded more iTaukei control of natural resources in the Western Division.